While Las Vegas may bill itself the Entertainment Capital of the World, it is also home to some of the best family-friendly neighborhoods with great lifestyles, shopping and amenities and walkable parks and local schools. There are dozens of wonderful neighborhoods in Las Vegas, each with their own flair and style. Some are replete with Las Vegas history and renovation, some are brand new with great choices for energy efficient homes and different lifestyles. We’ve chosen five of our favorite neighborhoods to recommend to Las Vegas residents, whether you’re moving in from out of town or a local thinking of a move to a neighborhood that fits you just right. Just a stone’s throw from the gorgeous Spring Mountains and Red Rock Canyon, Summerlin is an upscale Las Vegas suburb known for its big lifestyle and neighborhood amenities, including public pools, parks, and numerous trails for hiking or cycling. Built along the Western edge of the valley, and sometimes seeming to be a world away from the hustle and bustle of Las Vegas, Summerlin is one of Las Vegas’ newest neighborhoods. Made up of lots of different communities with choices in housing that range from modest condos to huge mansions, this 22,550-acre master planned community is also Nevada’s most eco-friendly community. If you love hitting the links, you’ll find a variety of golf courses to choose from, as well as two PGA certified Tour Players Championship (TPC) courses. In addition to the many first-class restaurants, shopping malls, and entertainment venues, outdoor enthusiasts will appreciate its award-winning trail system. Not surprisingly, Money magazine named Summerlin one of “Best Places to Live in America”. 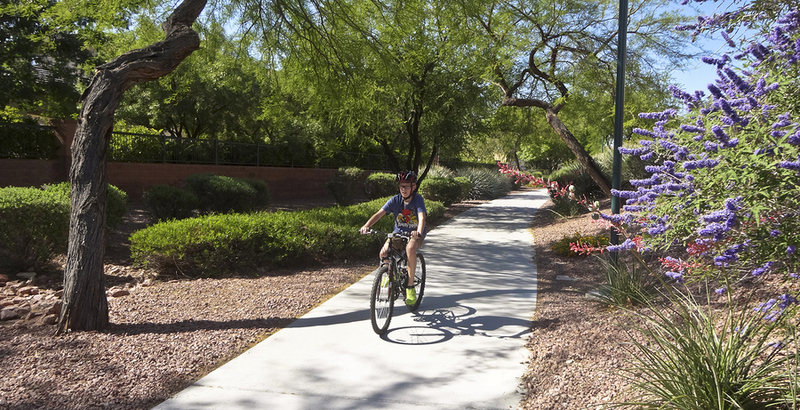 Located in Henderson on the southeast side of the Valley, the quiet, upscale master-planned community of Green Valley is a bit older and more established than Summerlin. This lush, beautiful area sports over 8,400 acres of homes and condos, and is surrounded by neighborhood parks and walking trails. In addition to an outstanding selection of gourmet restaurants, shops and retail services, Green Valley is known for being extremely family-friendly, offering public swim clubs, numerous Boys and Girls Club activities, outdoor amphitheaters and baseball fields. The schools in Green Valley are top notch — Green Valley High School was rated as being in the top ten United States high schools in 1997 for both athletics and academics. Henderson is a great choice for people who prefer a quieter and more traditional community lifestyle. In contrast to the glitzy excesses Vegas is known for, Boulder City is a traditional small town with controlled growth, and where gambling is prohibited. Ranking as the 6th best place to retire in the U.S. by Money Magazine, Boulder City dates back to the building of the Hoover Dam and features a unique blend of historic and modern architecture. Located near the Lake Mead National Recreation Area, the town is home to the Boulder City Historic District, lined with a variety of restaurants, galleries, and shopping malls. Boulder City is truly a world apart from Las Vegas and residents love the slower lifestyle and traditional old West look that reflects Nevada’s earlier days. We don’t want to leave out the wonderful neighborhoods in the heart of Las Vegas. Our choice is the John S. Park neighborhood, an official Historic District loaded with classic Las Vegas architecture, situated near the newly revitalized Downtown area. The nearby business district has an active arts and tech scene, benefitting from growth spurred by Zappos’ Tony Hsieh and others who want to build a place where creative minds can meet and start new enterprises. This traditional area, with ranch style homes built in the early boom years of old Las Vegas, is highly walkable. It has seen an influx of urban hipsters and young families in recent years. The Vega Verde and Park Place subdivisions in The John S. Park Historic District were built from the 1930s to the mid-1950s, and feature homes constructed in the Ranch and Minimal Traditional styles. Named by the American Planning Association as one of the ten Great Places in America: Neighborhoods in 2010, the neighborhood today is a thriving community of long-term residents and young professionals alike. The John S. Park neighborhood is listed on the State and National Register of Historic Places and the city of Las Vegas Historic Property Register. 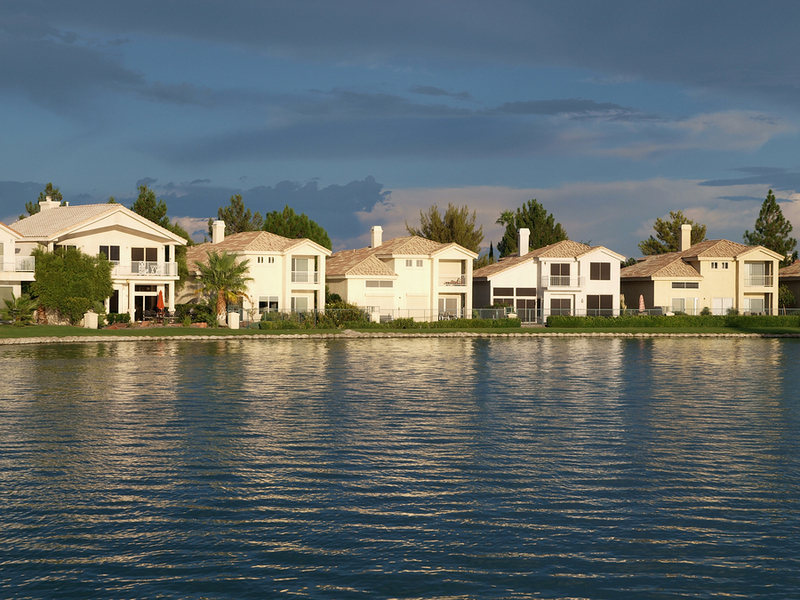 Tucked in between Red Rock Canyon National Conservation Area and the Spring Mountains, The Lakes is another master-planned community with a nautical theme. Lake Sahara, a large, man-made lake, is the centerpiece of the community. Named one of America’s Prettiest Neighborhoods by Forbes’, the 2-square-mile town features stunning waterfront homes and private docks around the lake’s perimeter. While it boasts a large and busy business district, outdoor enthusiasts will enjoy the rock-climbing, bird-watching, camping and hiking opportunities offered at the nearby Red Rock Canyon National Conservation Area. Now that you’ve found your perfect Las Vegas neighborhood, it’s time to move! Move 4 Less is a locally-based, full service mover. We know every bit of Las Vegas. We’re happy to help you with any information you need about your move. And, we take care of all the little details and ensure your move is stress-free so you can get out and enjoy your new neighborhood right away. Request a free quote on your affordable move today.